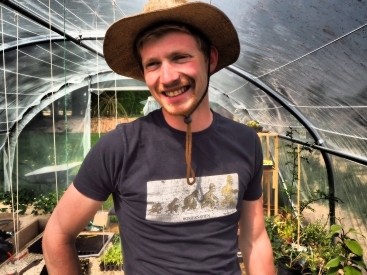 Louis Poirrée, 23, learned about gardening from his grandfather before doing a training course to learn more about cultivation. Mr Poirrée started an allotment at his property in Yvetot, near Rouen in Normandy, a year-and-a-half ago. He became so enthusiastic about his work that he launched an association called Le Potagiste, a collective of like-minded individuals who grow fruit and vegetables in public spaces. Mr Poirrée also keeps donkeys and pigs, but these are for farm visits, not for meat. “I couldn’t kill them,” he said. Fresh produce from her vegetable patch, and more time outdoors have improved Sheila Birkenshaw’s arthritis. Mrs Birkenshaw, 72, moved to Montalembert in Deux-Sèvres in 2009, after retiring from a busy life as a fashion stylist. “When I was working I ate quick ready-meals. “Here, I have fresh fruit and vegetables from my garden. 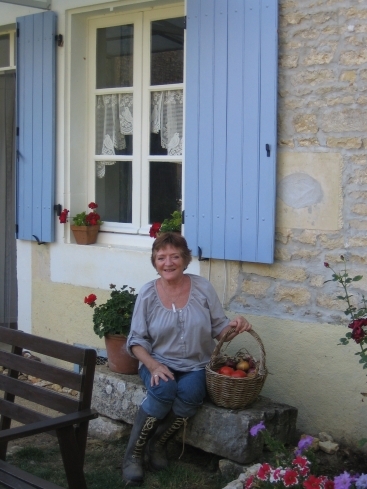 My arthritis has improved a lot: I think it is being outside more, eating healthily, the lifestyle, and quality of food in France. She grows onions, tomatoes, green beans and salads, as well as raspberries, blackcurrants and strawberries. “It is lovely to go outside and pick what you need for a recipe,” she said. Wherever possible, she avoids using pesticides. “I keep chickens, so the manure gets dug into the ground, and I also have a compost bin,” she said. Moving to France was a long-term dream that came true after several ‘research’ trips. Her son, Jay, 41, has helped renovate her house, and has decided to settle in the area. A successful growing season meant Mark Bennett was able to give away some of the delicious results of his labours. Mr Bennett, 73, has kept the polytunnel in his garden going since his wife Melanie died, at the age of 67, last February. “It was Melanie’s thing,” he admitted. “I am not really green-fingered. 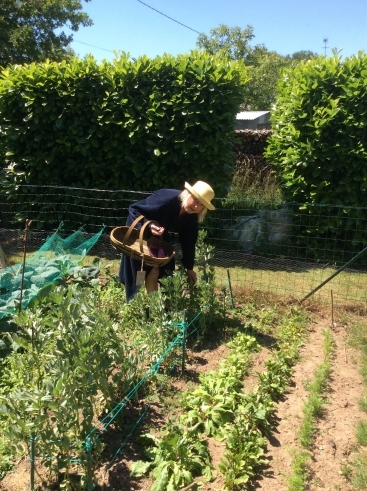 Mrs Bennett had turned the front lawn of the couple’s Brittany home into an allotment, and improved the soil with manure donated by local pig farmers, and friends with gîtes who run donkey rides. “The free pig and donkey muck we received every year helped enormously,” said vet Mr Bennett. “For the first few years, Melanie grew potatoes, beans and sweetcorn. The couple moved to France six years ago from Wareham in Dorset, where Melanie had been secretary of the local allotment society. After her death from a brain tumour earlier this year, Mark sowed wild flowers in an allotment she kept further up the garden. 1. Allotments (usually known in France as jardins familiaux, but also sometimes as jardins ouvriers) are managed by local associations. Plots are assigned for personal use. 2. Anyone interested in having an allotment should first log on to the website www.jardins-familiaux.asso.fr – to find details of more than 300 local groups. 3. 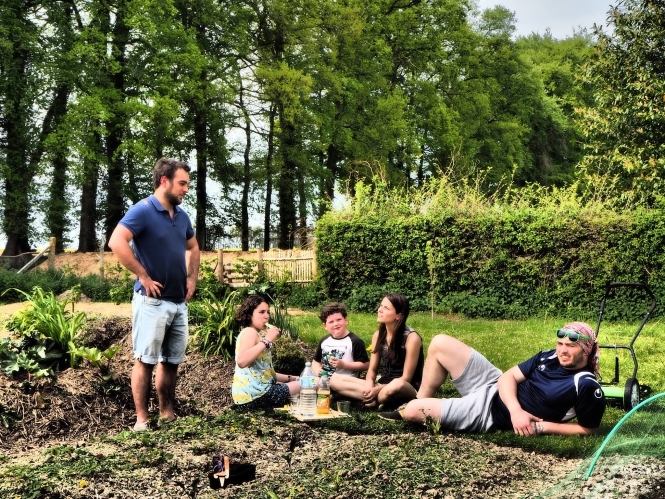 More than 20 cities and towns in France are members of the Rotaract club of Versailles’ Potalib (a contraction of potager libre) scheme, which helps communities and local organisations grow and harvest healthy food. The scheme supplies seeds for up to 18 kinds of vegetables, gardening advice, and 12 wooden bins, each filled with about 270kg of soil.